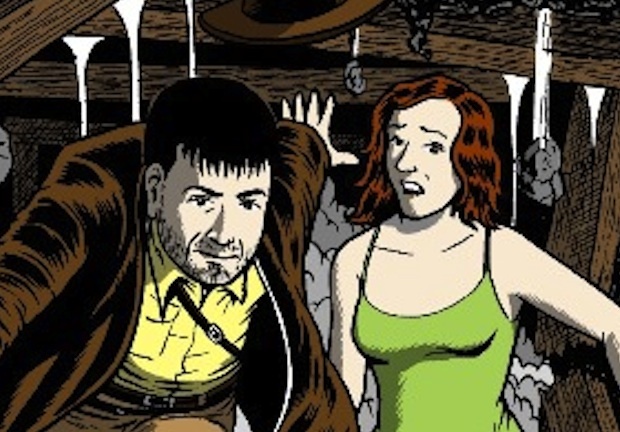 Scopitones has been publishing David Gedge's biographical comic book since 2012. Tales From The Wedding Present chronicles the enthralling adventures of David and the band. Together with his long-time bass player, Terry de Castro, David has teamed up with celebrated cartoonist Lee Thacker to share stories from his life. David has been leading The Wedding Present for more than three decades so he's not short of tales to relate! The stories are not told in chronological order, so new readers can plunge in with any issue. You can purchase copies of this comic by visiting our merchandise pages.